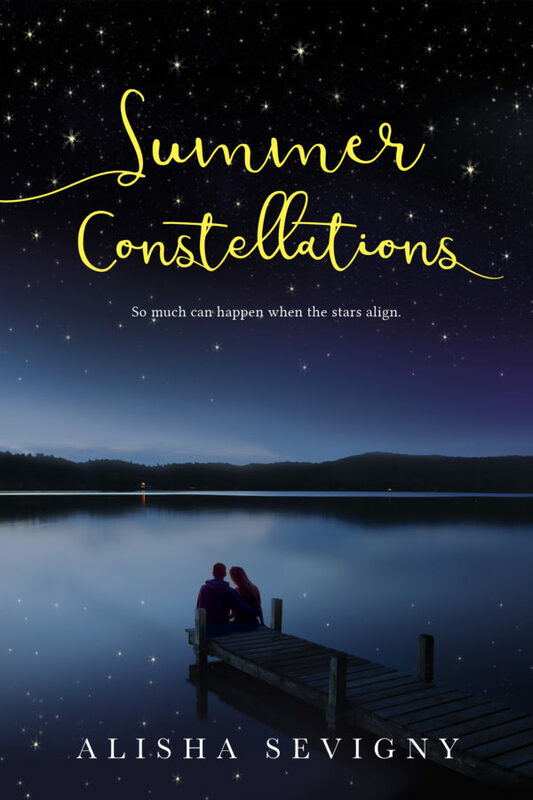 I’m so excited – SUMMER CONSTELLATIONS was named one of 2018’s Best Books for Young Adults by the Canadian Children’s Book Centre. I couldn’t be happier about the news and thank everyone who has supported me along this journey. A big thank you to my fabulous publisher KCP Loft and everyone there, including my superstar editor Kate Egan. I also wanted to thank everyone who has come to an event, bought a book, left a review, recommended it to a friend or shared a social media post. Writing can be a difficult, all-encompassing vocation and it is the support of family, friends and fans that keeps me going on the difficult days and moments like this that make it all worthwhile! I’m so excited to announce SECRETS OF THE SANDS, a thrilling adventure series set in Ancient Egypt that showcases genuine contemporary artifacts. 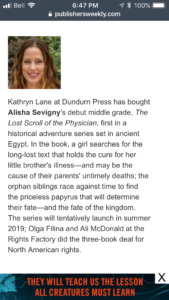 The first book, THE LOST SCROLL OF THE PHYSICIAN, comes out Summer 2019. I’ve been working on this project since 2015 and was fortunate to receive grants from the Ontario Arts Council which both motivated and allowed me to keep writing. There is something magical about this series and I hope that kids and adults alike will love it as much as I do. 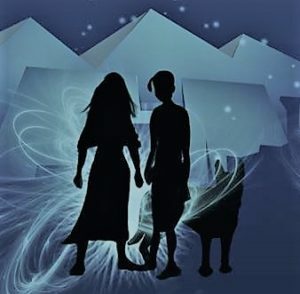 It has been an entire moon since the fire—since Sesha and her little brother Ky lost their mother and father and found themselves orphans on the perilous streets of Thebes. Having only narrowly escaped the blaze with their own lives, the siblings struggle to survive, charming snakes and stealing goods from distracted vendors. In an unfortunate brush with the law, Sesha is forced to reveal their lineage as the children of the late royal physician, returning them to the palace and their once home. But Sesha knows the gods were not to blame for her parents’ deaths—someone betrayed them, perhaps even the Pharaoh himself. My talented friend Meaghan McIssac has fun with mock cover designs! Sesha’s father was working on transcribing an ancient papyrus with far reaching consequences for Egypt—and the rest of the world. A priceless scroll, believed to have been written by the Great Imhotep, the document has the power to shift the balance in an approaching war with the neighbouring kingdom of Hyksos; clear or condemn the royal family in the murder of her parents; and save her brother from a looming—and potentially fatal—illness. Vowing to the gods to discover the truth, Sesha engages in a clandestine search for the hidden scroll. But she’s not alone. As the only girl enrolled in studies at the temple, safety is a mirage that constantly has Sesha looking over her shoulder. Among conspiracy at court, treachery at the temple, famine in the fields, and whispers of war, Sesha puts her father’s snake charming lessons to use in taming the nest of royal vipers. Using her knowledge of reading and writing, her talent for healing, her quick thinking, and the help of her fellow scribes and a certain princess, Sesha may just find the sacred text before it falls into the wrong hands—and time runs out to cure her brother. Full of intrigue and adventure, Sevigny’s middle grade debut is sure to do for ancient history what Riordan has done for mythology—ignite passionate readers of all ages. 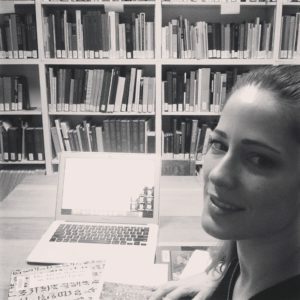 Researching in the ROM’s private archives! The Edwin Smith Medical Papyrus (the “lost scroll” Sesha seeks) is a manual of military surgery and the oldest known treatise on trauma. It was discovered by tomb robbers and sold into the hands of Edwin Smith, a rare antiquities dealer in the late 1800’s, whose daughter later recognized its extreme importance and donated it the New York Museum of Medicine in the early 1900’s. The scroll is believed to be dated to the Second Intermediate Period and is actually a copy of a much older medical document attributed to the Great Imhotep, Egypt’s first renowned physician, scribe, Grand Vizier and High Priest (among many other things). The copy is believed to have written by two scribes, with the second making small additions which are incomplete in some sections, as if the scribe were interrupted mid-transcription. Not only is the scroll one of the world’s most priceless artifacts, it is also the first document that demonstrates the Egyptians had a rational and scientific approach to medicine, rather than relying solely on magic and superstition. The Second Intermediate Period is one of the most obscure periods of Ancient Egyptian history when the country fell into disarray, invaded by foreigners (the Hyksos) who gained control over the Nile Delta and ruled from the port city of Avaris (modern Tell el Dab’a). Egyptians viewed this brief period as a blight on a glorious history, but it was actually thanks to the warrior Hyksos (who—for the most part—held an uneasy truce with Thebes), that new advancements in weaponry and military procedures were introduced to the Egyptians, allowing them to eventually take back their lands, heralding in the extraordinary era of the New Kingdom. 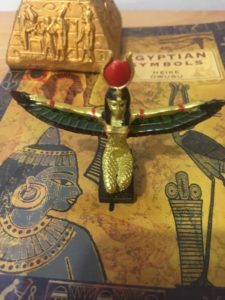 Even now, new research is being carried out and there are proponents of several theories regarding this tumultuous time, as the world’s renowned Egyptologists attempt to unlock the mysteries of the past and decipher its stories. Tell us a little bit about THE GYNESAURS. 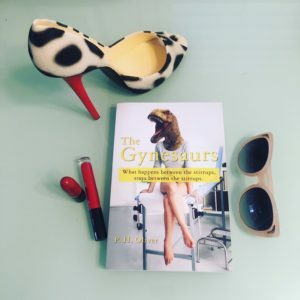 THE GYNESAURS tells the story of four single women, past their reproductive prime, who work in an ob-gyn office. For that reason, they call themselves “The Gynesaurs”. They are united not only by their work, but by their personal lives, which are often as colourful as the patients who seek their counsel. One national critic described the book as “a bold, delightful, strangely edifying read,” perhaps because although it is a fictional work, it is inspired by true stories and medically factual, so it gives its readers a peek behind the sanctity of the clinic doors. Choosing your favourite character is a bit like choosing your favourite child. You hope that you have invested all of them with something compelling, memorable and worthwhile – even the most minor of them (the characters, not your children). There are a couple of characters who were closely patterned after real people and these are the two that readers seem to have the most fun with. 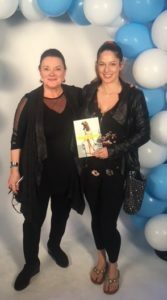 I asked the woman who inspired Carolina, the Italian Mafia member’s daughter, to read the book and tell me if there was anything she would like me to take out, in case anyone recognized her. She chastised me, saying that I hadn’t put her “best stuff” in. Auntie Ceri was my sister Christine, who died before the book was published. I didn’t need to make much up about these two intriguing women, they are unforgettable. Many of the other characters are composites who eventually become independent of the author’s will and dictated their own personalities. How did you get so hysterical and what’s your best recipe for laughter? As a first timer, I found it frustrating – largely due to my inexperience and poor computer skills. I made a lot of errors which cost me extra money to change. It would be much easier the second time, as I would know and understand the process. Now, I hear that Createspace is no longer providing the service I purchased and that is disappointing. Also, they don’t pay foreign royalties unless they amount to over $100.00 – with no alternative (last time I asked) to get that money back. Personally, I would probably investigate a local publisher or certainly a Canadian self-publishing organization for my next book. The good part is, is that I have a book on my shelf and that alone, is a great reward – well worth the money and effort spent. How did it feel to be the only self-published book Long-Listed for the Stephen Leacock Medal for Humour Award? Apparently the first two of these are easier to accomplish than the third. 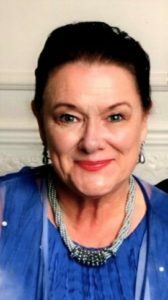 Upon hearing that I had made the Long List – Top Ten in that august list of writers, I literally ran around the house howling like a mad woman. It was a heady moment, and still is. Any advice for aspiring authors out there? I am 64 years old. The woman who won the Leacock Award, Jennifer Craig for GONE TO POT, is 84. . . keep writing. THE GYNESAURS is sold on all Amazon and Indigo sites. Thanks P.H. and good luck with THE GYNESAURS! *PS. If you’re looking for a freelance editor for your next project please don’t hesitate to reach out! Here’s what P.H had to say about working with Wildflower Literary! 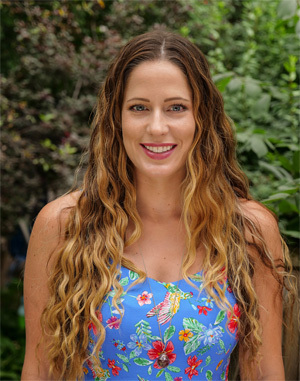 “Alisha combed through my 140,000 word manuscript offering many different strategies that I could employ to bring it down to the recommended maximum word count (under 100,000) for the genre in which it would be classified. Readers have since told me that they were most impressed with the tightness and pace of the book, feeling that every line was worth reading. There is no doubt in my mind that this high praise was due to Alisha’s keen instinct for what a reader wants and needs in order to keep turning the page. Indeed, this, I would say, is the hallmark of Alisha’s own writing. She pointed out plot and character inconsistencies that I had missed, even after much scrutiny and gently curtailed my penchant for overly verbose descriptions. This entry was posted in General and tagged author, gynesaurs, humour, p.h. oliver. 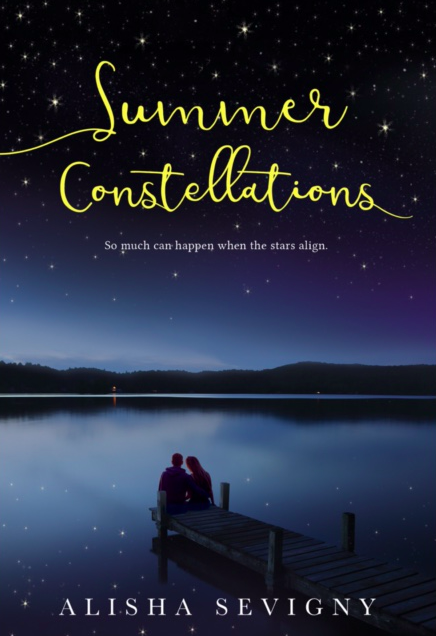 SUMMER CONSTELLATIONS = The Perfect Summer Read! Watch the author make a fool out of herself promoting her new book, SUMMER CONSTELLATIONS! Also available at fine book retailers everywhere! Order a copy, support a Canadian writer and get a great read in the process. And if you’re lovely enough to have already bought the book, please leave a review and help keep this author writing! I’m excited to announce the book tour for SUMMER CONSTELLATIONS, which will be taking place over the next two weeks. KCP Loft will be partnering with Rock Star Book Tours to feature author interviews, guest posts and sneak-peak excerpts in advance of the book’s May 1st release date. Join in the fun for the chance to win great prizes and take part in exciting giveaways! April 24th – Review & Giveaway from UK site Books and Ladders! Out May 20/18 with Ravensburger in Germany. Available for pre-order on Amazon, Chapters, B&N and other fine retailers in Hard Cover AND Paperback! 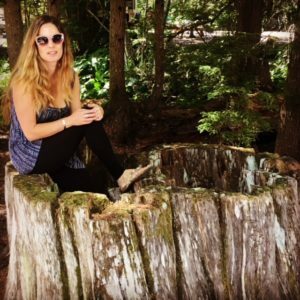 This entry was posted in General and tagged alisha sevigny, Best books for Teens 2018, Best YA Contemporary, Best YA Contemporary Romance, Best YA Romance, Environmental Books for Teens, Mein Sternschnuppen Sommer, summer constellations, Teen Books 2018, YA. Available for pre-order on Amazon, B&N, Chapters Indigo and other fine retailers! 1. Lock in discount prices and great giveaways! Most publishers will offer discounted rates for pre-orders, so it’s a win-win! In addition, they or the author may throw in fun incentives for readers. For example, see postcard promo mentioned above. 2. Pre-orders help build buzz for launch day. Giving people the chance to buy the book in advance increases anticipation and allows for buzz to (hopefully!) build. Plus, there’s the added bonus of not having to remember to buy the book – it just shows up on your doorstep. Who doesn’t love seeing the Amazon delivery person pull up with a package that you’ve half-forgotten about ordering? (Or is that just me? 😉 ). 3. Pre-orders increase the odds a book may hit a bestseller list. This one’s huge! Pre-orders count toward first-week sales, and since many bestseller lists are calculated on a single week’s worth of sales, bundling those early sales into that first week gives authors their best chance of hitting a bestseller list, which in turn, helps the overall life of the book (and the author). 4. Pre-orders encourage retailers to increase the amount of books they order. When buyers for retailers like Amazon, B&N and Chapters Indigo see strong pre-order numbers, they’ll likely increase their initial order, which brings more books into stores and increase the chance of people coming into contact with the author’s work. So there you have it! Five reasons to pre-order from your favourite author person. Of course, ordering the book at any time is still just fine and dandy, and definitely deserving of a profuse amount of hugs and kisses. PS. Kirkus reviews Summer Constellations below! Recent high school graduate Julia Ducharme’s summer is off to a rough start. Her best friend, Paige, is traveling to Japan to visit relatives, her longtime crush has shown up with a gorgeous girlfriend, and her mom has announced that she is thinking of selling their family campground and home. Julia’s little brother Caleb is recovering from Guillain-Barré syndrome and is old enough to realize—with distress—that their financial troubles are connected to his long illness. After receiving the terrible news that her home may be sold, Julia meets a beautiful black-haired, olive-skinned stranger on the docks and spills her guts to him. She is shocked and angry to discover that the young man is Nick Constantine, son of the property developer who is looking to buy their campground. 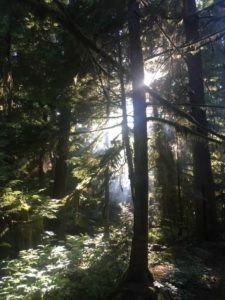 Julia and Nick are thrown together, and Nick falls in love both with the campground and Julia, deciding to do all that he can to help them keep their place, or at least keep its integrity intact. 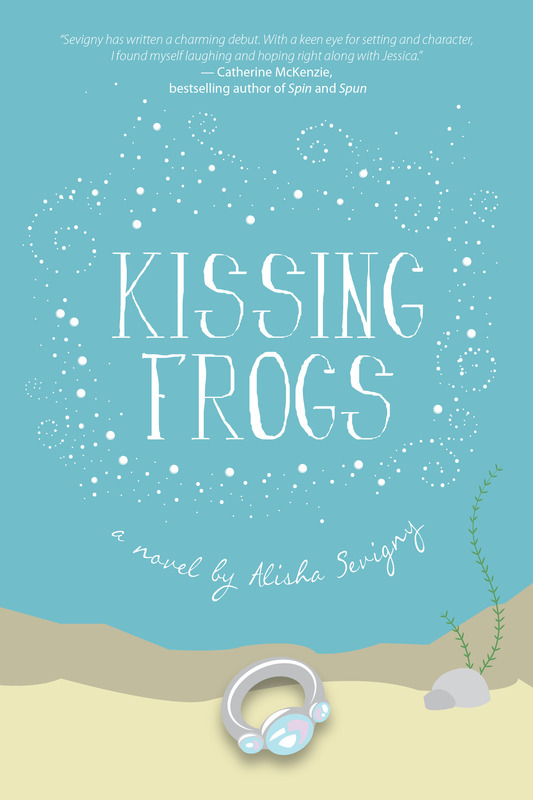 Sevigny’s (Kissing Frogs, 2014) portrayal of the emotional and financial struggles that can accompany illness in America ring true. Julia is a brave, independent, and competent female character who shows that you don’t need to be a femme fatale to be lovable. This entry was posted in General, Writerville and tagged #authorlife, pre-order, summer constellations.